Succulent steaks on fine china, vintage cabernet sauvignon in crystal goblets, the setting sun streaming through the window, pleasant conversation with old friends in a most graciously appointed room. 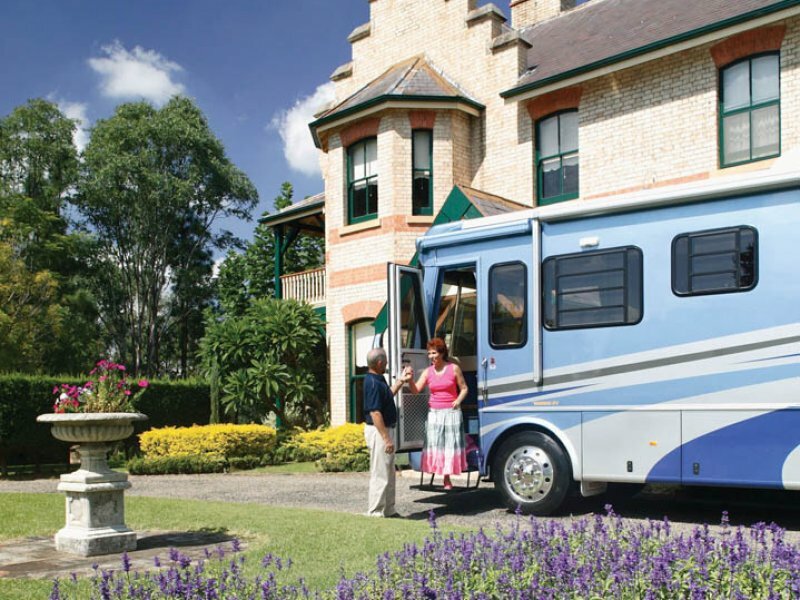 Welcome to a motorhome that is the perfect setting for your ultimate pleasures – The Classic. Sensational new interiors feature technologically advanced electric slide-outs, dramatic new fabrics and window treatments, day/night shades that coordinate beautifully with the room, matching bench tops and plush carpeting. Solid oak cabinetry and exquisite lighting further enhance The Classic’s stylish decor. What’s more, because it is built on a Spartan Chassis with a Cummins engine, you get the quietest, smoothest ride and ease of handling available in a motorhome. Your first impressions are formed as soon as you enter this motorhome. The spacious layout of the kitchen and the beautifully finished cabinets are the items you first notice. You don’t get a second chance to make a first impression. That’s how we think at Avida, and that is why we manufacture the best. The Classic brings motorhome experience and enjoyment to a whole new level. It is the most sophisticated refined and finely balanced chassis on the Australian market. Seize the opportunity of a lifetime. The Avida Winnebago Classic is no longer manufactured and isn’t able to be purchased as a brand new motorhome. You should see the Avida Longreach range which has similarities to the Classic.